As men grow older, they tend to let their friendships lapse. But there's still time to do something about it. 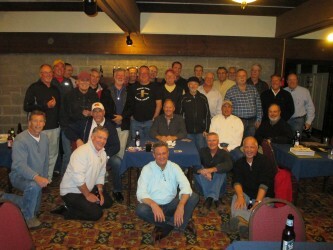 Thanks to the Gamma Upsilon Chapter, you have many friends—brothers, in fact—with whom you already share common bonds. Being a member of Delt is a lifelong privilege, so take advantage of your membership. Reconnect with brothers, revitalize your friendships. Come to an event, check out headquarters events in your area, or use our online directory to look up that brother you haven’t talked to in years. Get. In. Touch. Don’t wait. Do it now. Thanks to the generosity of our graduate network, the tools you need are all right here.